Honey bees are the spark plugs of agriculture, playing a vital role in pollination across Nova Scotia. 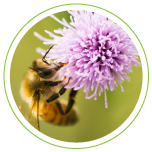 According to the Nova Scotia Department of Agriculture, honey bee pollination services contribute more than $40 million to agriculture annually. For numerous reasons, like changing insect populations and the weather it is not possibIe to rely on wild insects for consistent pollination. So many famrers rely partly or wholly on honey bees to pollinate their crops. Even though Nova Scotia”s beekeeping industry is pollination-based, honey is a tasty and profitable by-product that is sold at local farmers’ markets, in grocery and health food stores, and to coffee shops, restaurants and bakeries. 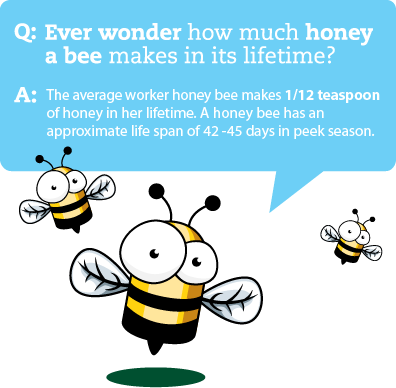 Each hive produces about 50 to 60 pounds of honey from May to August.